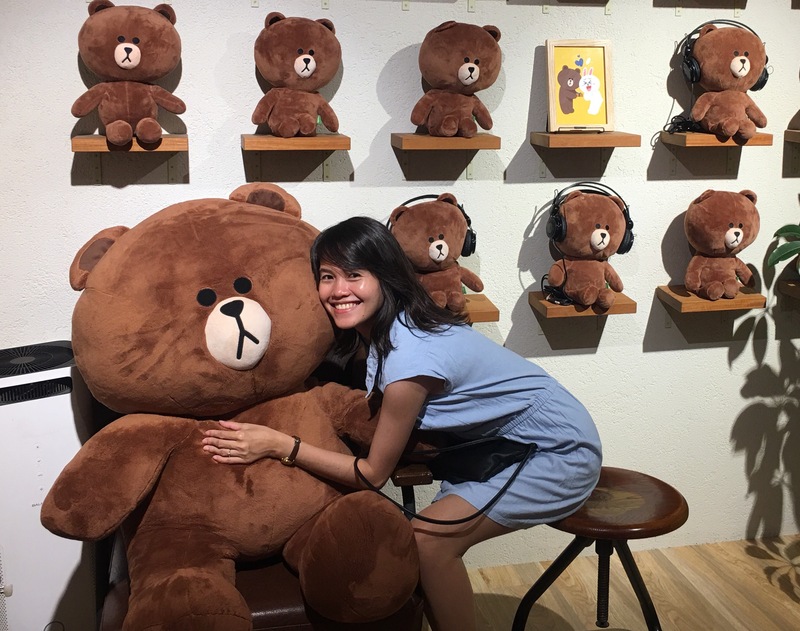 Are you a “LINE FRIENDS” buff like me? What are you waiting for? Head to Harajuku! For those who don’t know yet, allow me to share this. 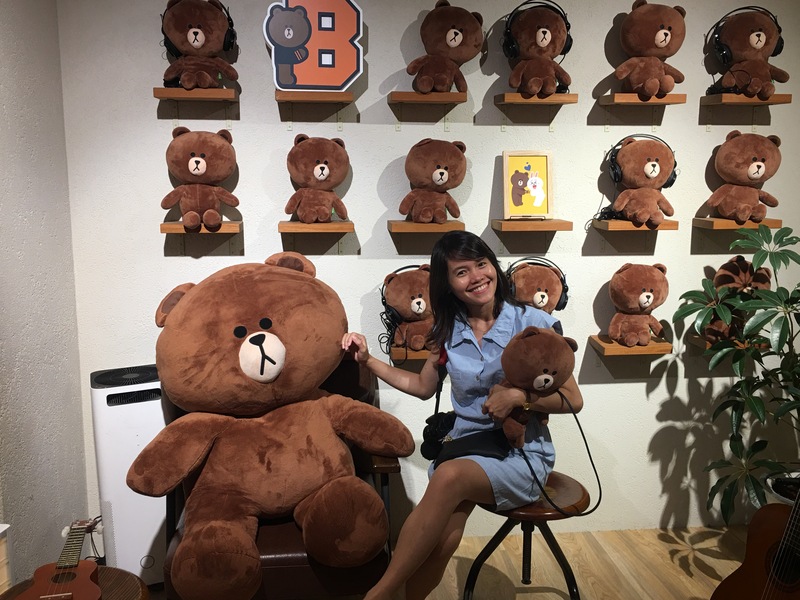 LINE is a common messaging application in Japan. 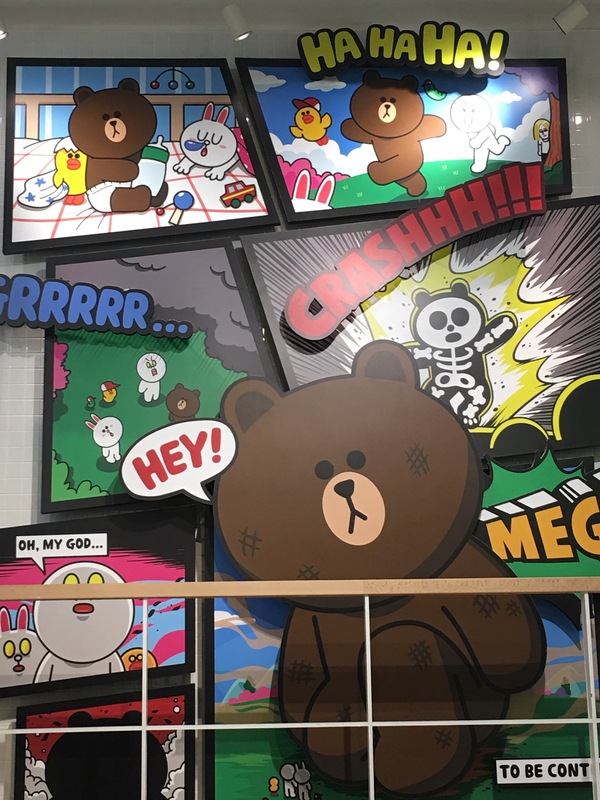 LINE Friends is the character brand of LINE. It consists of eleven main characters. They are popular because of their hilarious and adorable emotions. Brown and Cony are my favorites by the way. For those who have been using the LINE app as a messaging application, I bet you find them cute. So, how did I discover the store? One day, I strolled around Harajuku with the goal of eating the Ben and Jerry’s ice cream located in Omotesando Hills. While I was walking, my eyes caught a glimpse of what seemed to be a picture of the adorable white and brown bears. I gave it a sure look and voila! 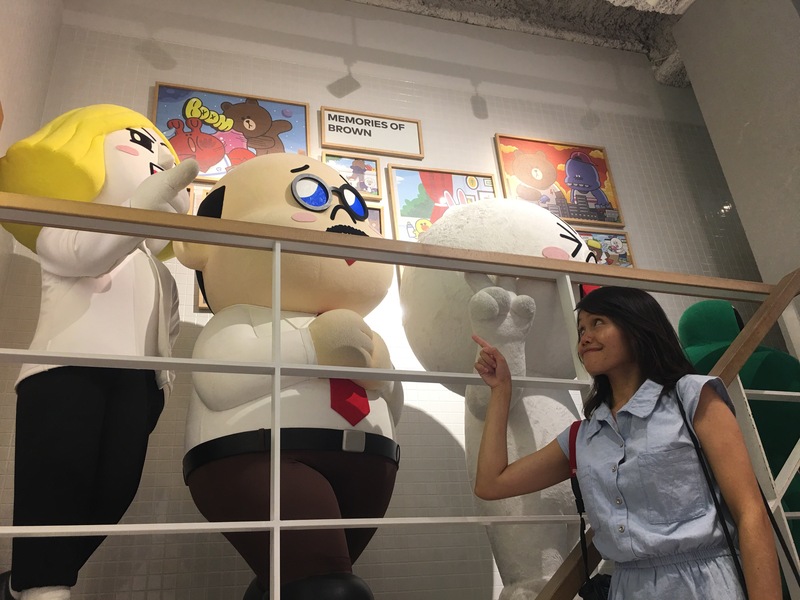 I was tickled pink to see the Line Friends Store. 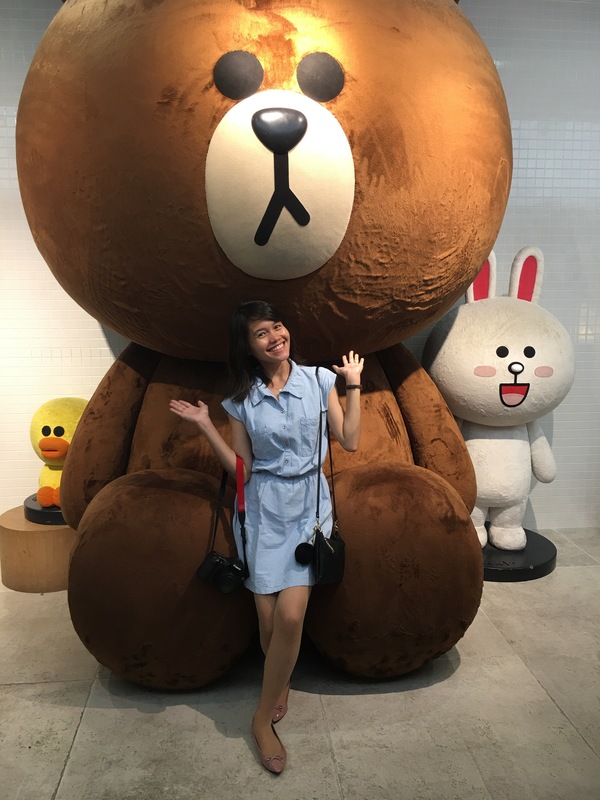 I’m a Line user and back in the Philippines, I was itching to meet as well as hug Cony and Brown. However, the first time I went to Harajuku was not the perfect chance. I didn’t have the chance to get inside since I was with friends and a very important person and we had a specific destination at that time which was Ben and Jerry. Moreover, we had limited time. So, I promised to myself to go back and hug Cony and Brown. So, I did! I only got to capture the store’s facade. Jessica (ジェシカ) is a female cat. 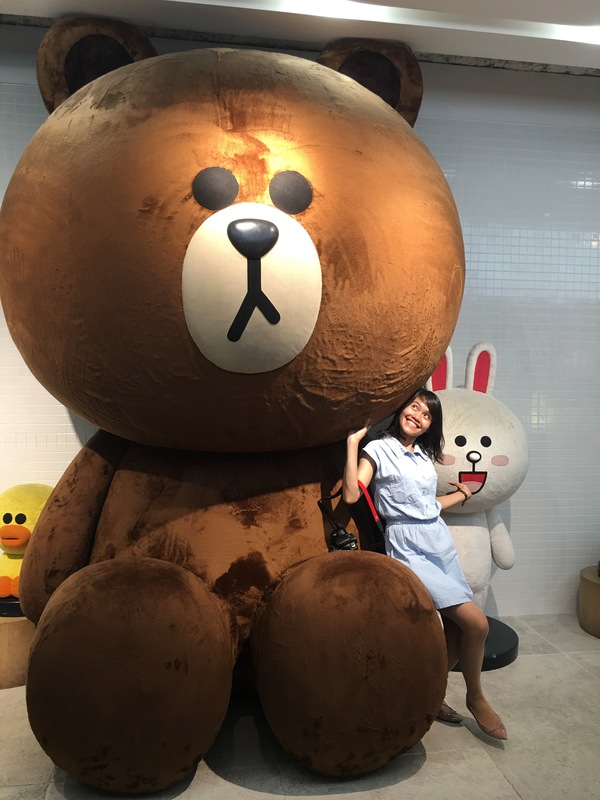 She’s Cony’s best friend. He is Leonard. 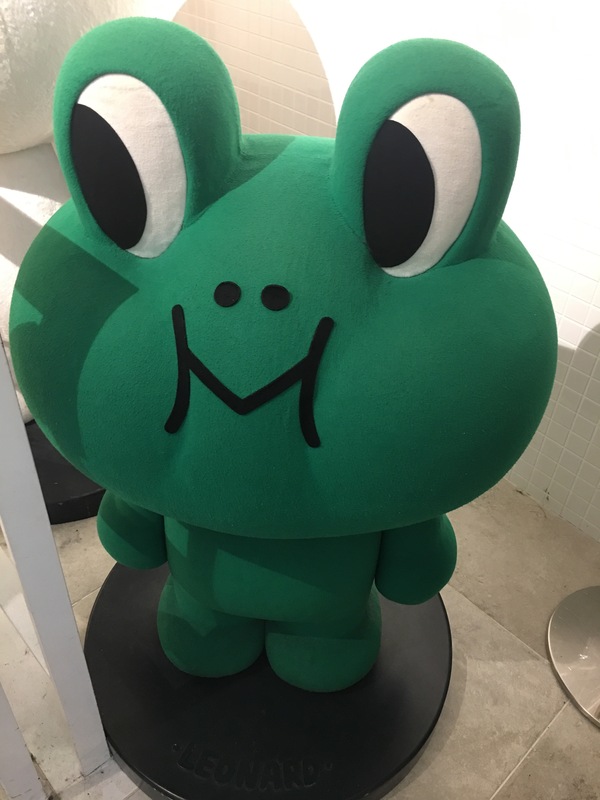 A frog. James, Moon and Boss. They’re cool, aren’t they? This is Brown’s room. 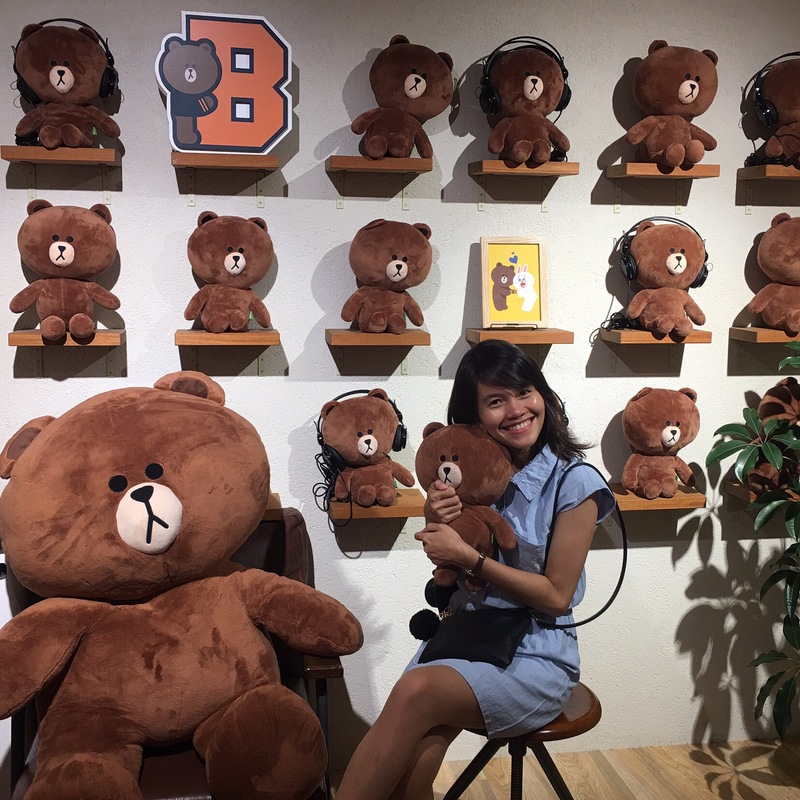 This is where you can take photos with Brown’s minimes. Hey, buddy! 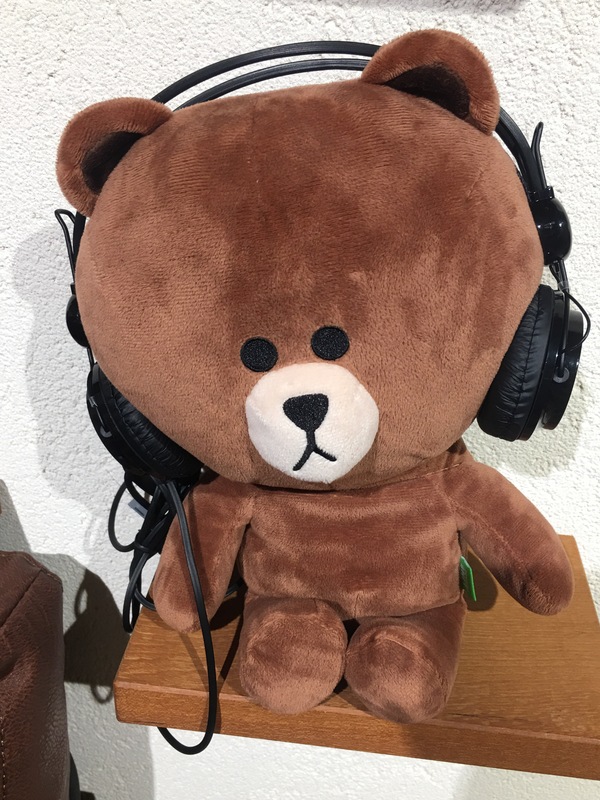 What song are you listening to? Hehe. 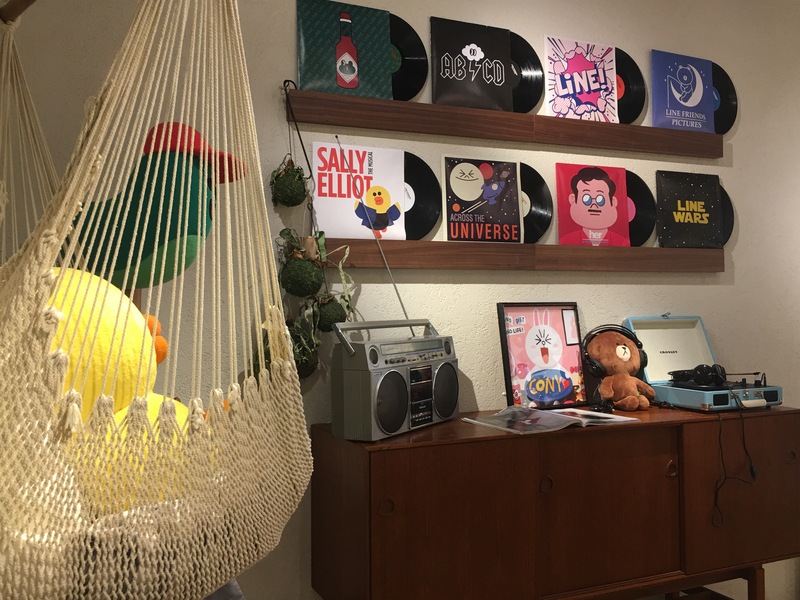 The store sells different kinds of stuff such as phone cases, T-shirts, key chains, mugs, laptop sleeves and snacks. Of course you can buy the fluffy stuffed toys. 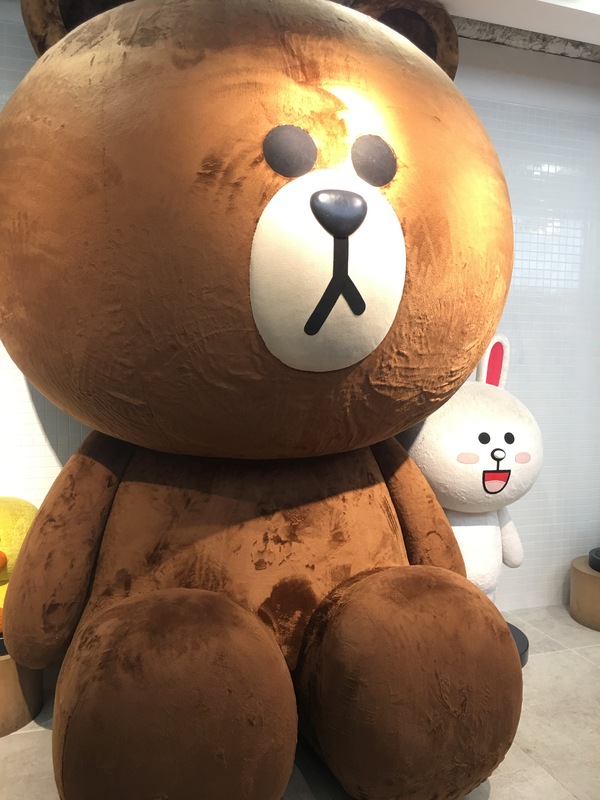 I really wanted to purchase Brown and Cony but they’re pricey. Hence, I didn’t purchase any. Hehe. I should have bought because I enjoyed taking a bunch of photos. I might next time. From Shinjuku, take the JR Yamanote Line. Harajuku Station isn’t that big and complicated so after you exit, walk for about two minutes to Takeshita Street. Go straight and cross the pedestrian crossing where New Balance stands high. Take a right and walk for two to three minutes more or so. 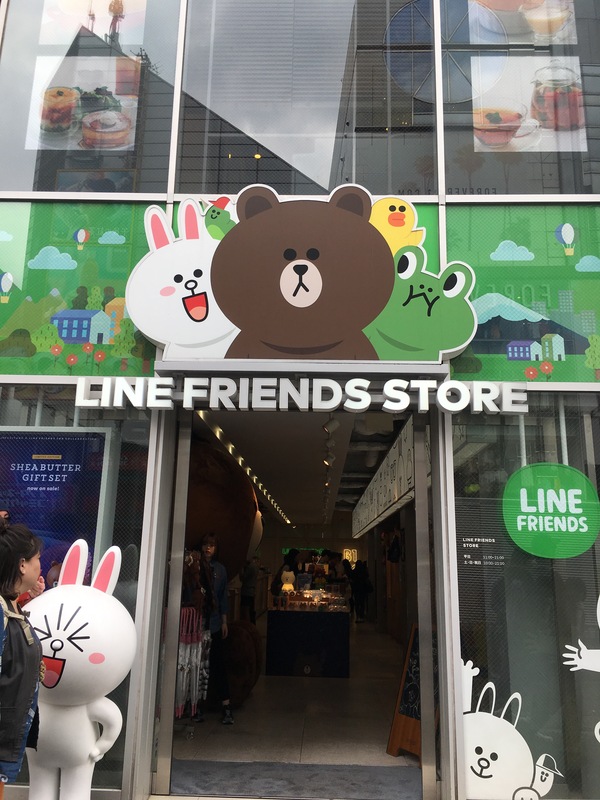 There is the Line Friends Store. In front of it is Forever21 and H&M. Ka cute.. I use viber sa ako bf, line and messenger are other options in case magkabuang ang viber. Haha.. I used to use line for my bf kay line sad xa with his friends..
Nice ang LINE, Miss. Mas nice kesa Viber. Hehe. For me! Next Post Weekly Photo Challenge—Ooh Shiny!